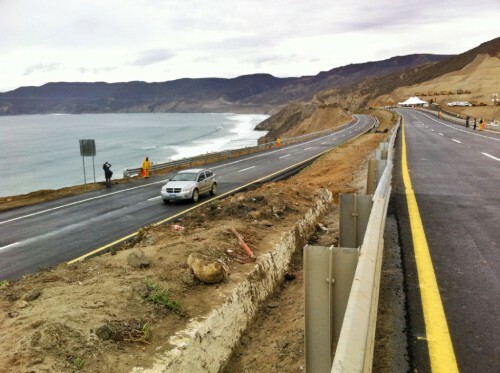 After nearly a year of being closed, the toll road to Ensenada reopened late in the afternoon of Tuesday, Dec. 16th. 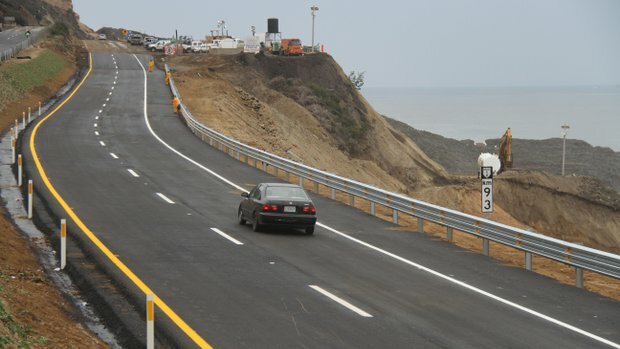 Baja California Governor, Francisco Vega de Lamadrid, was present at the ceremony to inaugurate the reopened road as was Mexico’s Secretary of Communications and Transportation, Gerardo Ruiz Esparza. 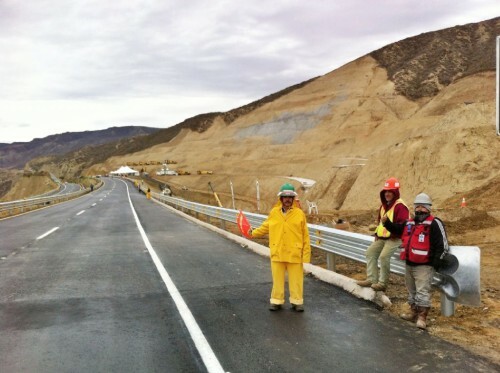 The stretch of road between La Fonda and San Miguel had been closed for nearly a year in both directions since collapsing under a massive landslide in December 2013. Traffic was diverted inland via the free road for the past year while the toll road was being rebuilt. 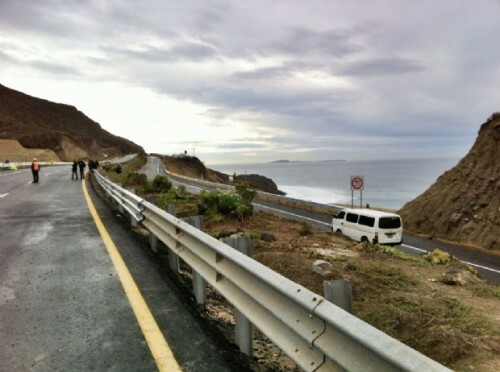 With the newly reopened road, Ensenada hopes to see a resurgence of tourism to the area. Photos by Benjamín Pacheco and Nicté Madrigal. Yes, the road is open in both directions. Is American dollars accepted for toll fees? Yes, the tolls can be paid in either dollars or pesos. It must be cash and you can’t mix currencies (the whole toll must be paid in either dollars or pesos, not both). 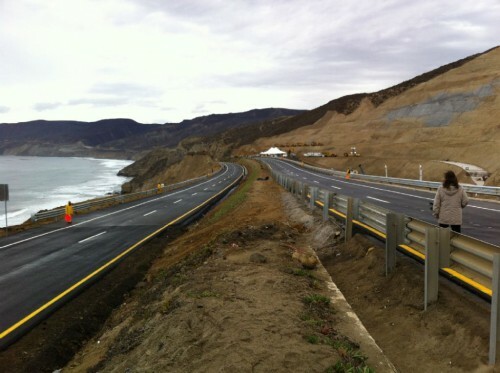 There are three tolls (each currently $31 pesos) in northern Baja – one in Playas de Tijuana, another in Rosarito and the third in San Miguel just north of Ensenada. That’s it for tolls in Baja until you get down to Cabo where you’ll encounter tolls around the Los Cabos airport. I am considering taking my small trailer I can pull with my SUV to park on a piece of property in Mexico. I need to know how the roads are from Tijuana to Todos Santos?